Formerly ranked No. 1, the three-time major winner has not played a competitive match since a quarterfinal exit at Wimbledon last July. Andy Murray needed only a couple of days in Australia to realize the hip problem that has kept him out of competitive tennis since Wimbledon was not going to improve in time for the season’s first major. The five-time finalist withdrew from the Australian Open on Thursday, two days after pulling out of a tuneup event in Brisbane before his first match. Confirmation of his absence came hours after Kei Nishikori announced that he, also, wouldn’t have enough time to fully recover from a torn wrist tendon before the Australian Open starts Jan. 15 in Melbourne. Murray was preparing to leave Australia at the same time as injured former champions Novak Djokovic and Rafael Nadal were on the way to Melbourne. Australian Open tournament director Craig Tiley said he understood Murray’s early decision. Former No. 1-ranked Murray, a three-time major winner, has not played a competitive match since a quarterfinal exit at Wimbledon last July. 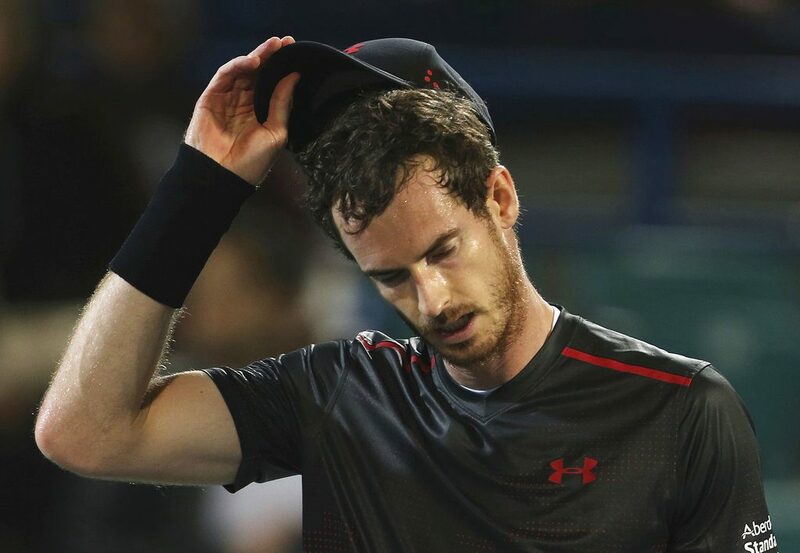 In a heartfelt social media post earlier in the week, the 30-year-old Murray contemplated surgery as an option after failing to overcome the pain with rest and rehabilitation. In the lengthy Instagram post, Murray said he’d worked hard on the conservative option of rest and rehabilitation but was now having to consider alternatives. Murray spent 41 weeks at No. 1 in the rankings until last August, but slipped to a year-end No. 16 because of his prolonged absence from the tour. “I would give anything to be back out there. I didn’t realize until these last few months just how much I love this game,” Murray posted “It’s quite demoralizing when you get on the court it’s not at the level you need it to be to compete at this level. Djokovic, who has beaten Murray in finals four times as he collected his six Australian titles, posted a statement on his website saying he wasn’t sure he’d be able to play at Melbourne Park. A right elbow injury has kept him off the tour since July. He plans to play in two exhibition tournaments in Melbourne next week before deciding. Top-ranked Nadal, who lost last year’s Australian final to Roger Federer and went on to win the French and U.S. Open titles, has been struggling with a right knee problem and withdrew from the Brisbane International this week, delaying his return until an exhibition tournament next Wednesday. There’s also doubt over Serena Williams’ title defense. Williams, who was pregnant when she won the Australian title – her record 23rd singles major in the Open era – and gave birth to her daughter in September, played an exhibition in Abu Dhabi last weekend and said she wasn’t sure if she’d be able to play in Melbourne. Tiley said he was in daily touch with Williams’ management.